The Rusk County Atlas printed in 1914 shows a church and cemetery in T36N R9W. 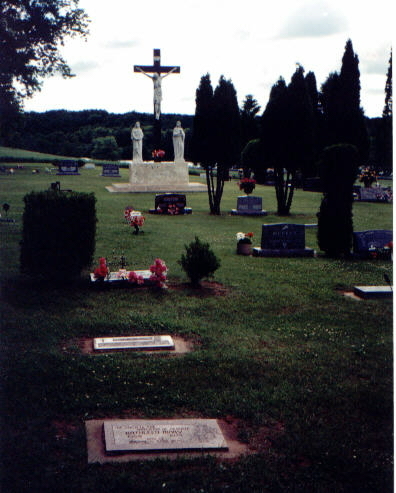 However, when we inquired about it of a farmer, George Schultz, he directed us to the former site of Holy Hill Catholic Church, where, in the former churchyard, a lone white wooden cross stands. 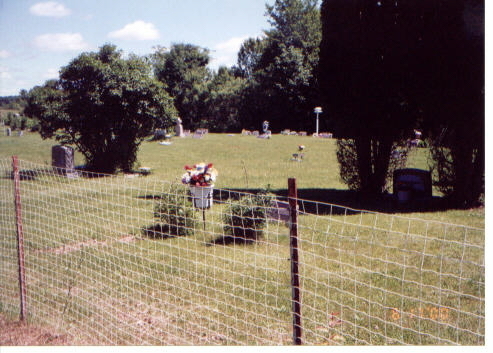 This is the grave of a migrant logger who came from Cleveland to work in a mill at Birchwood, Sawyer County., Wisconsin. He was killed in an accident at the mill. His foreman was Emil Schultz, father of George. Emil made the white cross that marks the grave in totally wild woods that could never be found by a stranger to the area. 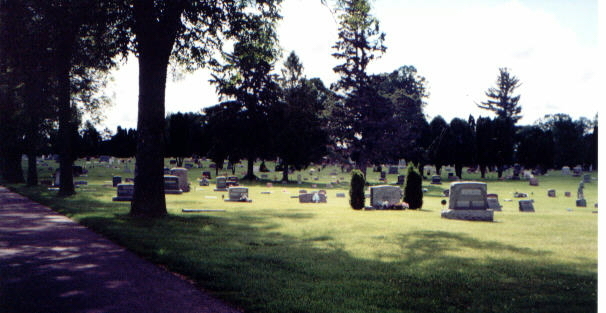 St. John's Catholic Church, Birchwood, Wisconsin has the death and burial records. The community is known as Pre Bram in Wilson Township, Rusk County, Wisconsin, and was settled by a group of people from Czechoslovakia, who came and bought the land (1912) cleared by the loggers of the Knap-Stout Logging Company. Location: Strickland Township, on the northeast side of Old Highway 14, about 3 � miles west of the Village of Weyerhaeuser. This cemetery is also known by the "locals" as the Jaworski Cemetery. The cemetery is less than � mile southeast of the Bass Lake Inn tavern. 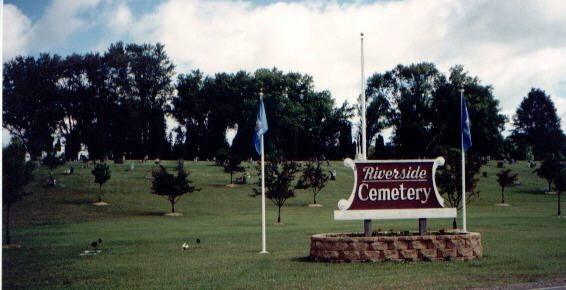 The entrance to the cemetery is unmarked. St. Ann's Catholic Church was built as a community project in the early 1900's. The church was sold to a private individual by the Diocese of Superior in the 1990's. The cemetery is still maintained. West of Weyerhaeuser is the settlement of Strickland, named for S.P. Strickland. He and Weyerhaeuser were involved in the operation of a mill on what is now Packer Lake. The Township of Strickland was organized in 1897, but the Strickland settlement traces its origin back to the 1880's. Settlers of Polish origin came to Strickland and neighboring Weyerhaeuser from Europe and from the coal fields of Pennsylvania. 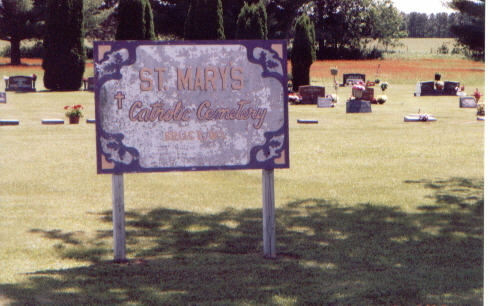 Settlers at Strickland erected the Assumption B.V.M. Catholic Church, which is still being used. It never was an incorporated village, and the only real industry remaining is raising cranberries.